His research focuses on how we can use the Creative Arts for inclusion and to support diverse learners, particularly those with disabilities. 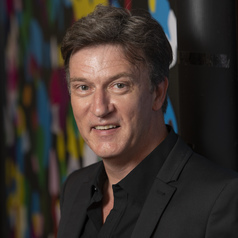 Author of nine texts, researcher, media commentator, and former teacher, he was nominated for the 2006 Saltire/TES Scottish Education Publication of the Year and won the 2013 Best New Australian Publication for VCE Drama and/or VCE Theatre Studies. His most recent text is 'Teaching the Arts: Early Childhood and Primary (2019) published by Cambridge University Press. His current research interests are Disability & Inclusion, Homeschooling, Creative Arts and Masks.